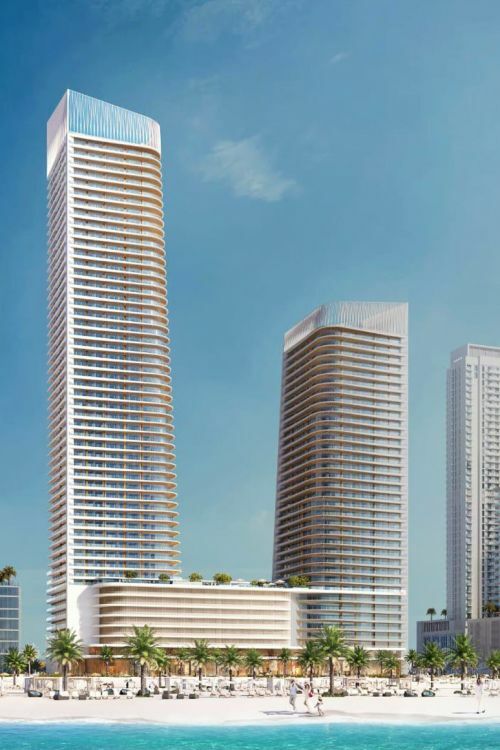 Grand Bleu Tower is a high-rise residential building planned for the gated Emaar Beachfront community in Dubai Harbour. The building comprises two towers on a shared eight-storey podium. Tower 1 has 45 residential floors and Tower 2 has 28. 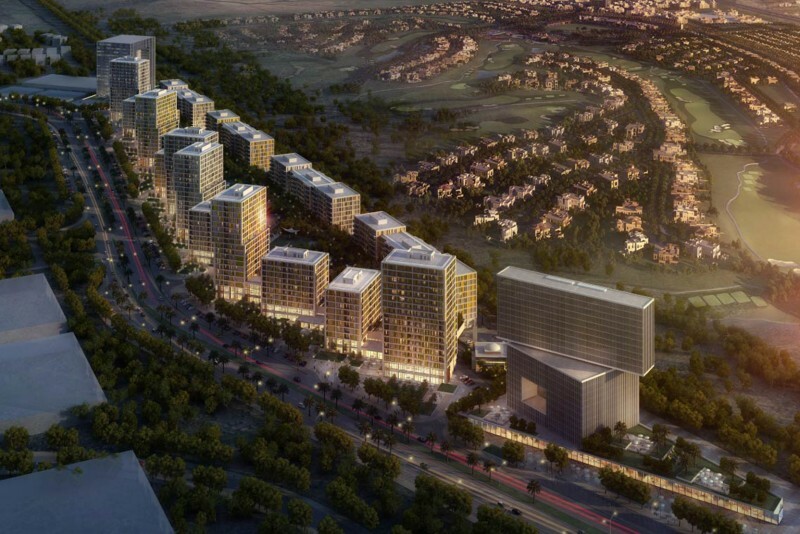 The project is a collaboration between the Lebanese designer Elie Saab and Dubai real estate development company Emaar. Every aspect of the apartments, from the materials used to the interiors, finishing and even the artworks, has been personally designed by Elie Saab as a celebration of the Art Deco era. The apartments will range from one- to three-bedrooms, and from 701 to 2,099sq ft. Each will have a private balcony. 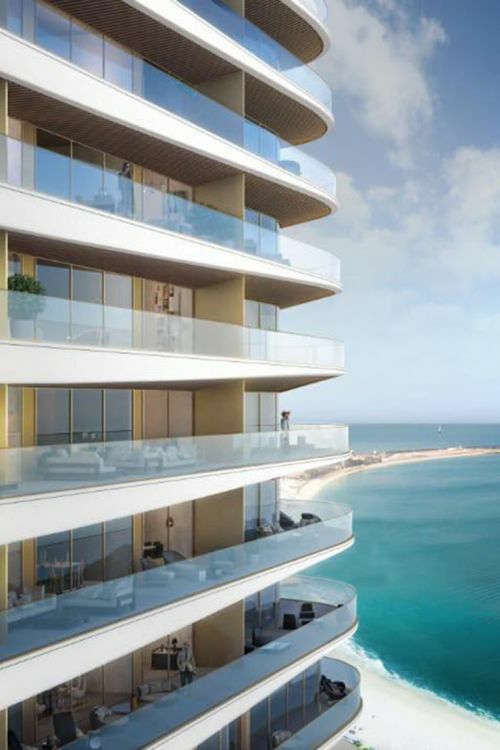 There will also be a collection of four-bedroom penthouses overlooking the Arabian Sea, Palm Jumeirah and Dubai Marina. 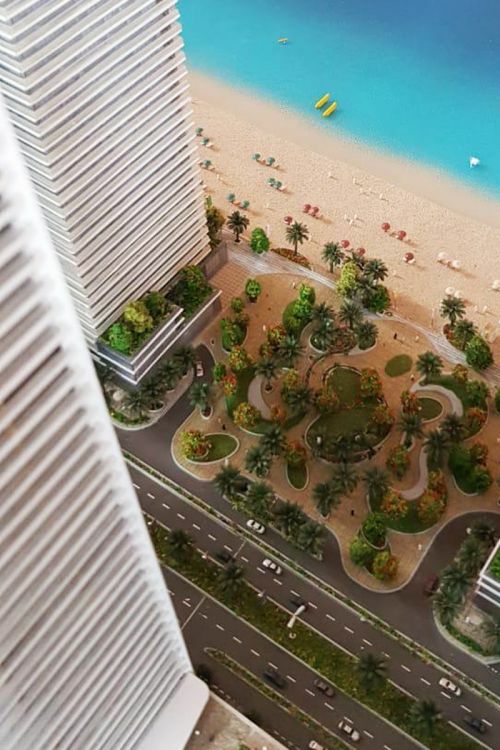 Residents will have direct access to a private beach and numerous restaurants in the building. The ground level will house boutique fashion stores, galleries and cafés. There is to be a pool deck on the eighth floor inspired by ‘chic Miami lifestyle’, with an infinity pool, gym and recreational facilities. Buyers will also be able to get styling advice from the Elie Saab design team, so they can match their furniture purchases to the apartments' interiors. Elie Saab is renowned for both his ready-to-wear and haute couture designs, which have been worn by the likes of Angelina Jolie, Rihanna, Sonam Kapoor and Halle Berry. Grand Bleu Tower is due to open in the autumn of 2023. One-click links to properties currently on the market in Grand Bleu Tower.